Or, It’s the Middle of the End of the World as We Know It. You can’t really trust someone’s self-analysis, but I’ve got a pretty good idea why this blog is going cobwebby. The collapse of civilization is now so broad and swift that it feels wrong to point out individual things. Let’s say I spot a single huge rock tumbling down a mountainside. The chance that I’ll excitedly point this out to you and others? It’s exactly 100%. But now imagine that other boulders follow the first, the activity building into an unimaginably gigantic avalanche as half of a mountain range tears itself away from the other half, with a roar like unto God’s Own Throat-Clearing. I was going to wax further poetic, but let’s just go with an indescribable amount of jawdropping stuff going on everywhere all the time. Obviously this analogy isn’t exact. We would all agree on the existence of the avalanche, but most of you don’t think that civilization is ripping itself to shreds at every moment. But as the downfall is quite obvious to me, pointing at individual rocks is useless. It is pointless. No, more than even that. It is anti-pointed. Counterindicated. If I draw your attention to a rock bounding along over here, you might miss a boulder rolling at you from over there. So what I ask, Dear Reader, is to stop examining individual events for a moment. Widen your vision as far as possible, glimpse as much as you can, and integrate that with all you’ve recently seen and heard. Forget individual notes of music except as they mark rhythm. Pace. Tempo. Do you not feel acceleration? I do. And it is not the smooth, controlled acceleration of a sports car. It is the lurching, ponderous yet chaotic acceleration of a landslide, the avalanche of civilization. What you feel in your bones is the downfall of civility. This will seem ironic to anyone who knows how I address leftists and statists and progressives. You call that civility? No, I call it avoidance. I want nothing to do with them, and honesty prevents me from pretending otherwise. If there was even a trace of tolerance within them I’d grit my teeth and address them with courtesy. True, it would only be a polite request to be left alone, but it would be polite. Whereas leftists and statists and progressives have no civility, none, yet they demand it from others. And so I do not give it to them. I do not give my enemies weapons to use against me and mine. Anyway, back to the avalanche. Wait, not the whole thing. Not the entire mountain range; focus on the especially turbulent section of “Race Relations” Ridge. And while I must single out a few specific rocks–or, rather, their impacts–the general descent of everything remains the point. But before we examine our first bounding stone, what does “race relations” mean? Seriously, get your definition ready. … Okay, what does it mean? Not. One. Damn. Thing. Races do not have relations. Races themselves can’t be defined. In fact, by referring to races as “themselves” I wrote falsely. Races don’t have existence, much less “selves”. On the other hand, of course, obviously “race relations” has meaning. And what meaning is that? Not. One. Damn. Thing. It is nebulous and undefinable, thus it has as many meanings as there are people who foolishly belive it means One Damn Thing. That this is horrible doesn’t make it any less true. And let me re-emphasize that “race relations” means nothing to me. It isn’t my definition, it is society’s. Ironically, not only are the liberal democrats of the Obama administration not raising red flags when states ask to do this; they are actively supporting racial profiling in schools. Much as I like Mr. Mead, I don’t see irony here. Quite the opposite. But then, I judge by actions and not claims. The statists are simply formalizing the demand that black people be held to lower standards than everyone else. They’re making it law. So how much, do you think, will this new policy help improve “race relations”? Here we’ll define the term as “relationships between all individuals of different races.” Is it going to close rifts, soothe hurt feelings, settle our differences? It does seem to be settling a difference: we are no longer to hold black people to the standards of Asians and Caucasians. How much closer together will this settlement bring us? Does it seem to you like upward movement…or more like a downhill slide? ….hmm. 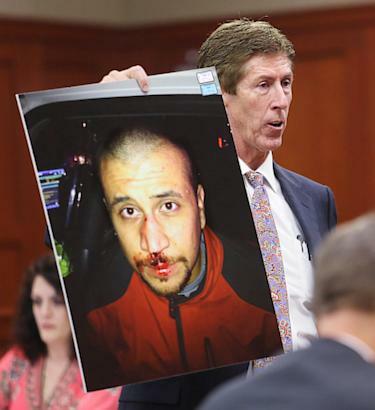 Okay, I admit it: Zimmerman is very white. But why is he holding up a picture of a Hispanic Hispanic man? And given their Caucasian mothers, shouldn’t we call Halle Berry and Barack Obama “white African-Americans”? The reason for Zimmerman’s label as a “white WHITE! 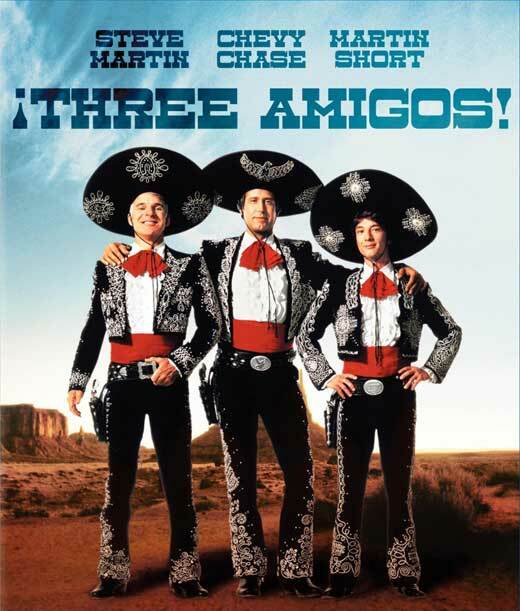 Hispanic” is of course, “immigration reform”, which is much like “race relations”. It’s a nebulous term which nevertheless has a concrete overall meaning: “holding illegal aliens to lower standards than everyone else.” As the overwhelming majority of these lawbreakers are Hispanic, and Hispanics mostly vote Democrat, naturally statists couldn’t simply call Zimmerman a Hispanic. Those of you familiar with set theory, or possessing any common sense, will see the tensions inherent in trying to maintain all four definitions at once. And of course there are plenty more; anywhere a wedge will fit, some warmonger is busy widening the gap. The Zimmerman circus and show trial is a slab of rock broken off by these warmongers. Barack Obama is chief among them, and he got what he wanted: mobilization of black voters and his re-election. After breaking the rock free he then apparently tried (illegally, of course) to guide its course. And probably he did; expect Zimmerman to be convicted of something. But now Obama’s influence ends, and no scheme or plan will affect the events triggered by the coming impact. Who knows what else will be broken free by the jury’s decision? Riots, sprees, looting, killings? Businesses are now calling for Zimmerman’s murder. Warmongers can exploit fissures and create falls, some warmongers will escape destruction, but none will ever control it. There is no controlling an avalanche. And as things worsen a lot of these troublemakers are going to be surprised by falling objects. Laugh at me all you want for being overdramatic. Then take a swarm of people to the face of a cliff, get out your hammers and chisels, and start widening every crack you see. I’ll watch from over here. Don’t think that I’m down, or sad, or being a Cassandra about all this. The only reason I’m saying that civilization is visibly collapsing is because civilization is visibly collapsing. That’s not a prediction of universal doom, just an observation that society is fracturing and behavior is changing. As I judge almost all of the changes to be bad, I interpret this as a downfall. I don’t know how far along the avalanche is, how big it’s going to get, or what exactly will be crushed in the gathering chaos. And I chose “civilization” because of the collapse of civility, but obviously my attention is centered on America’s tumble. In fact, right now I’m less pessimistic than usual. Oh, we’re headed for some horribly abrupt changes of all sorts, social and financial. Roughly half of civilization is sliding away, but it’s not us who’s doing the falling. It’s all of them. Them. And while they’ll crush a lot of us in their throes, and pull even more down with them, they are all going down. We stand on firm ground while their footing changes at every moment. We can still feel joy if we choose to. I don’t believe they can; if they do, they certainly can’t share it. 4 Responses to The Avalanche of Civilization. An avalanche is a good analogy, and I agree. Still, I keep pointing out rocks, pebbles mostly, from time to time, b/c I feel a particular affinity to those particular minerals, and also b/c I am stubborn, and also b/c I like to see my own opinion in writing. Hopefully you feel the same. Thanks! Also, congrats on the Instalanche on a very important topic. OT, Linda got linked at Insty about homeschooling. That was pretty cool. Kudos, nooneofanyimport. I had a reflection on this, but it got longer and I couldn’t finish it. Aw thanks Wormy and wdydae. I waited for over a month for homeschooling to come up on the Instapundit, so I could make a timely bleg for the link. hope you guys are doing well too.